Comments: BRAND NEW COPY. 5 EDITION.VOLUME 2. AS PICTURED. NEVER BEEN USED. READY TO SHIP TODAY. WILL EXPEDITE. '''FREE DELIVERY CONFIRMATION. 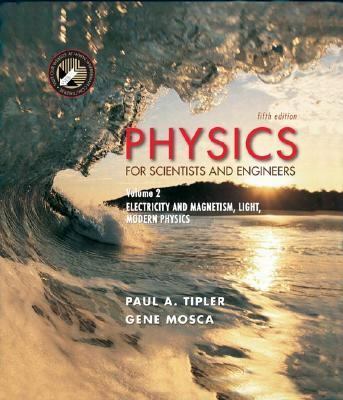 This second individual volume from 'Physics for Scientists and Engineers' presents material on topics associated with electricity, magnetism, and light.Tipler, Paul A. is the author of 'Physics for Scientists and Engineers Electricity, Magnetism, Light, & Elementary Modern Physics', published 2003 under ISBN 9780716708100 and ISBN 0716708108. Loading marketplace prices 10 copies from $8.57 How does the rental process work?